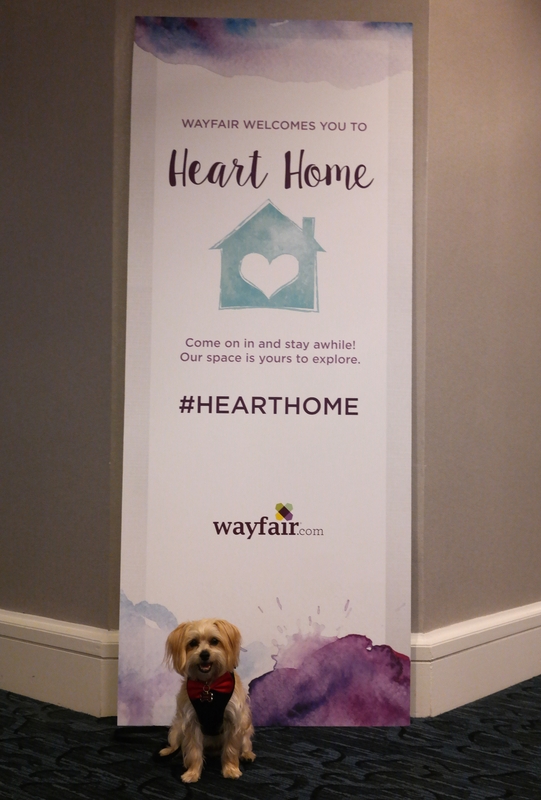 i just got back from my trip to boston for the wayfair heart home conference! last month they invited me to fly up to be one of two furry special guests that would appear at the event. the plan: hang out at the stainmaster photobooth and take pictures with people all day! now if that doesn’t sound awesome, i don’t know what does. so of course i said YES! 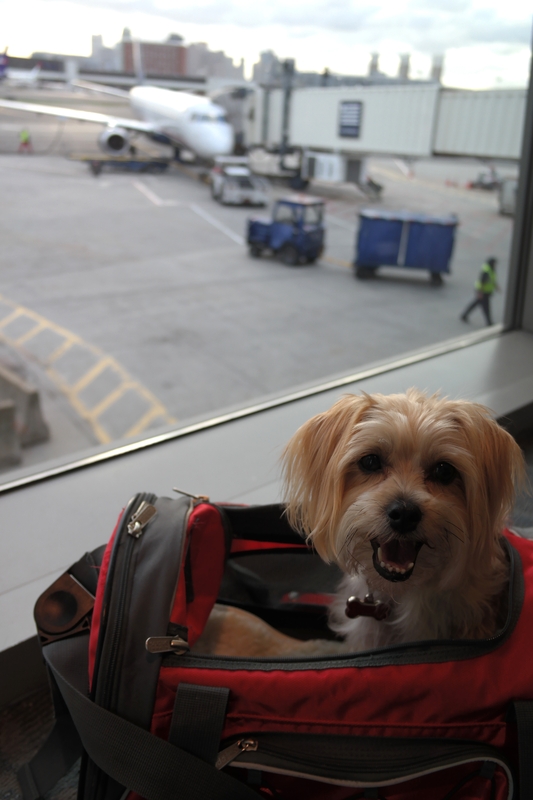 when the heck are these airlines gonna let pups like me roam the cabin? we need to stretch our legs too, ya know! the plane ride was long, and i had to stay in my carrier the whole time. which turned out to be SUPER fancy! even though the bed was super comfy, i had a hard time sleeping because i was so excited to go to the conference the next day. 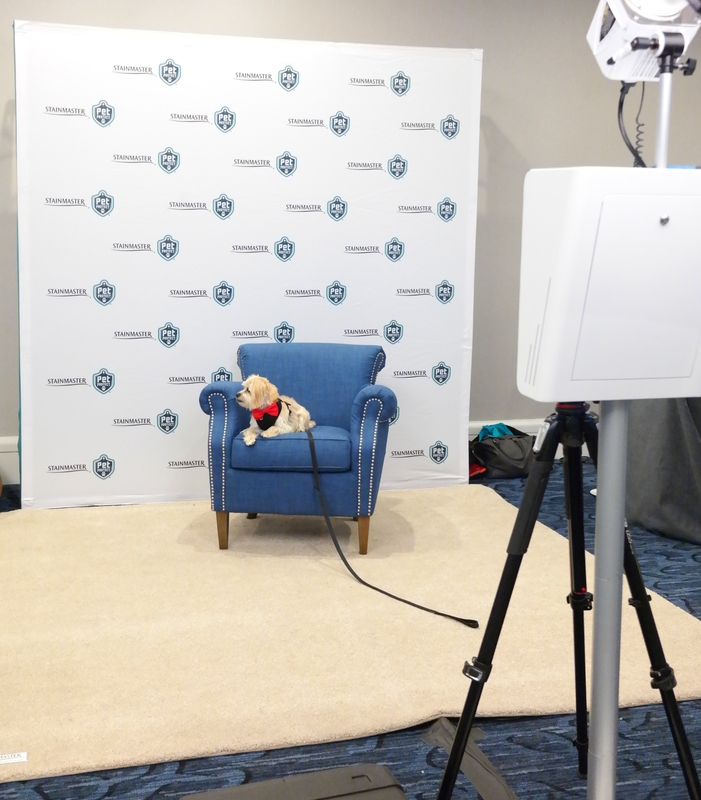 🙂 we got up really early on friday morning, packed up our stuff (well, the human packed up, i sat on the bed watching CNN like a miniature puppy-prince) and headed over to the conference. i settled in right away at the stainmaster booth, which didn’t look like a booth at all. they had cozy carpet and snuggly arm chairs, and even a dog bed just for me! check out that cool mashbooths photobooth! i spent the day meeting and greeting – and meeting and greeting some more – and taking pictures with all the nice humans attending the event. then, my buddy manny the frenchie (he’s like, REALLY famous!) showed up. luckily we got along great! hanging out with manny, plus all the special attention, made me feel like a REAL celebrity! 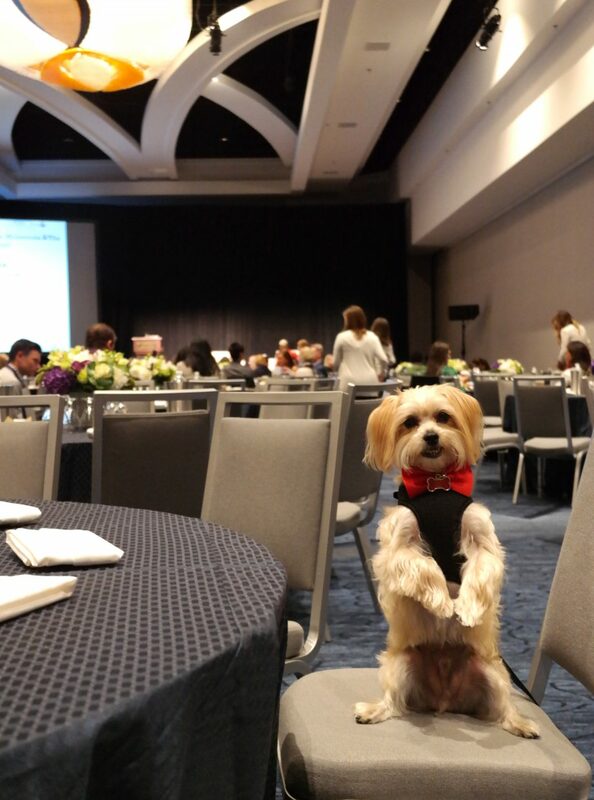 This was me and my buddy Rambo hanging out in Boston at the @Wayfair #HeartHome conference. but after a few hours, i started to get tired. i was still having fun, but meeting and greeting and smiling for the camera all day is hard work. My Vacation in Maine: Bloopers Pictures! lovley Rambo its lovley to see more of you and boy did you have a great time ,great job this modelling its what your very good at ,wasn’t frenchie lovley he really liked you . Great as always Rambo !